There are lots of exciting things happening at SEEC throughout the year. On this page you’ll find SEEC’s past and current Newsletters, Events Calendar and Photos, Operating Schedule, Inclement Weather Policy and much more! Here is where you’ll be able to find out more information about activities, trainings and other newsworthy happenings. 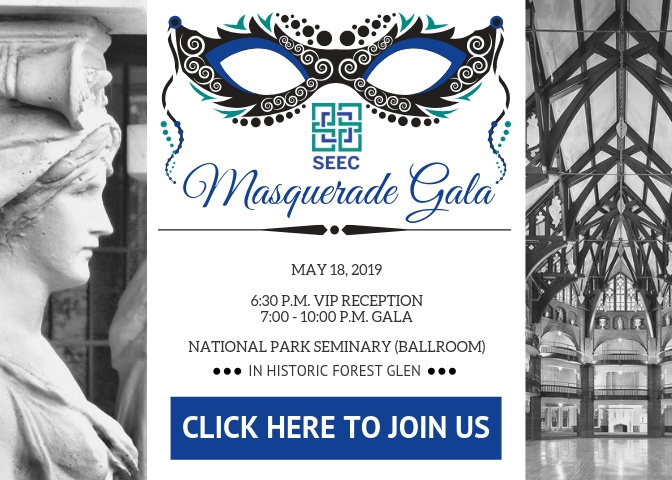 Information about SEEC’s upcoming Masquerade Gala can be found on the “SEEC 2019 Gala” tab.